A new generation of contact management software to manage both sales prospecting and servicing existing customers. Provides the customer service agent with a complete picture of the customer's details and history. Drill down into the PRIAM database to display all transaction details. • Drill down into the detail of the event. Recording multiple contact records is essential to both sales prospecting and CRM. Create an unlimited number of contact records or to link existing contact records. One contact can belong to multiple companies / individuals. A contact record has the same functionality available as a company record. Create an unlimited number of branch records. Existing branches can be linked into the current company and one branch can belong to multiple companies. 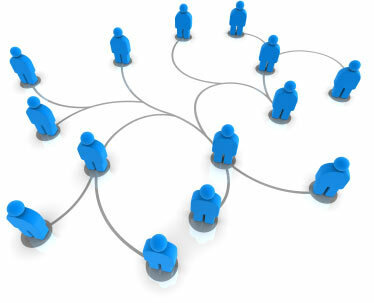 A branch can have an unlimited number of contact records. A branch record has all of the functionality available for an individual or company record. Create your own tables and data fields using either the Additional Details function. Each table can contain as many data fields as you want and these can allow for multiple predefined responses e.g. area of business above. It is also possible to have view only fields which are calculations based on the back-office database record for the contact e.g. order value divided by orders over time. This is achieved through a calculator that references all of the ERP database! For every transaction, process or response within the system a profile can be written away the customer record. Powerful selection criteria can be applied to segment and extract profiled data from the PRIAM database. Automate the process of creating and maintaining letters for companies or individuals. Letters can be created on an ad-hoc basis or via existing templates. Templates are created using the template editor or imported from existing documents. Any data within the PRIAM database can be accessed to mail merge into single shot or template letters. Store and retrieve any type of document in a single, easily accessible area. Documents can be filtered and viewed by date, author or whether they are incoming or outgoing. Create comprehensive notes for all customer interactions. Contact Manager contains an email client. Emails can be sent and received directly from Contact Manager. The email system links to any email server. In exactly the same way that letters are handled emails can be created on an ad-hoc basis or by using an existing template.